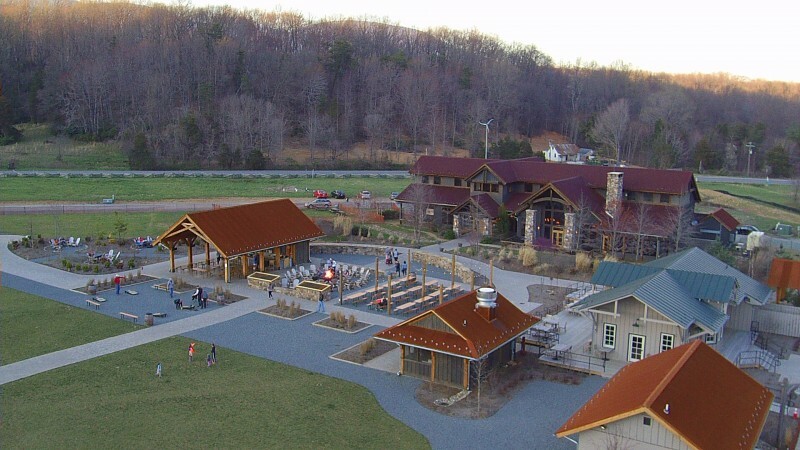 Jeff was able to get some amazing shots of our work at DEVILS BACKBONE BASECAMP BREWPUB & MEADOWS with the drone! We’re hoping to capture some more images at the Oyster Roast on May 14th from 12-5pm, see you there. We’ve just completed the north terrace at the Rotunda. 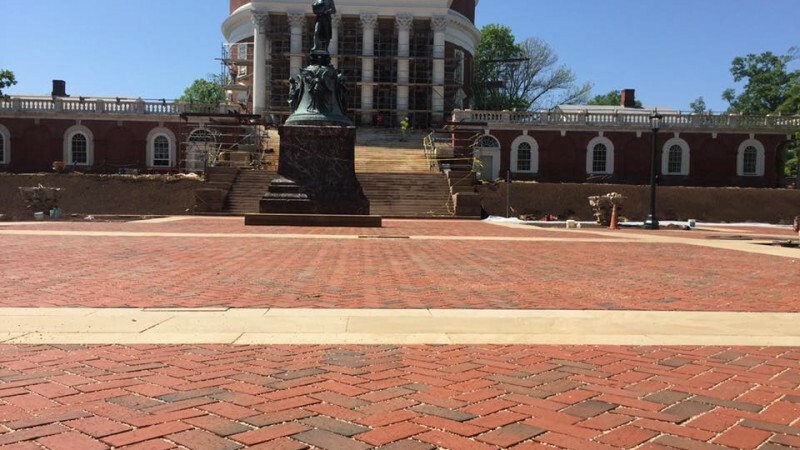 15,000 square feet of brick pavers, or 67,500 bricks, and 4000 square feet of sandstone. It looks great and we are glad we got it done in time for the 2016 graduating class. We can’t wait to see all the final details.